Lewes has kayaking adventures for everyone. Lets start inland on the 14 mile Broadkill River. The Broadkill starts in the Historic Town of Milton and slowly winds through thick woods and farmlands and turns into the saltmarsh. The river comes to an end at the confluence of the Rehoboth/Lewes Canal, Canary Creek, and the Roosevelt inlet which pours into the Delaware Bay. Another great trip is the Rehoboth/Lewes Canal. This trip is about 10 miles and will flow through banks of historical homes and through the Cape Henlopen State Park with numerous smaller side trips. venture the Delaware Bay or Atlantic Ocean. With endless scenic views of lighthouses, shipwrecks, beautiful beaches, calming sunrise with dolphins, and breath taking sunsets. 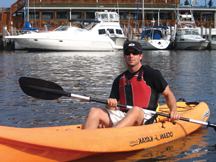 In order to have an enjoyable kayaking experience, here are a few things to know when kayaking the Le wes waterways. for the conditions, weather, and time of year while kayaking. A must is to know the tides of the area. Most of the trips are tide dependent, unless you really want to make your trip more of an exercise session. Preplan your trip and let someone know where you are going and approximate times of departure and arrival. 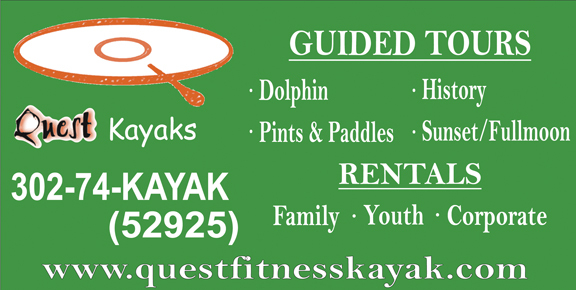 make recommendations for your next kayaking adventure! ← Previous Story 50 Things That Must Be Done: On The Most Difficult Day Of Your Life.